Start your day with this cheery, bright blend of matcha, citrus, and mint. Bring nature inside as you sip this earthy tea powder. Enjoy hot or cold in a glass mug or a small colorful ceramic bowl as you prepare for your day. Use the tea powder to enhance your morning after a brisk walk, meditation, or getting your family started for the day. Large Jar - $13.50 | 32 Servings | 3.2 oz. Matcha is generally prepared as a very thick, creamy beverage using water. The tea ceremony includes a small bowl, wooden scoop, wire mesh strainer and bamboo whisk. The whisk is used in a side-to-side motion. Drinking from the bowl is designed to cover your nose. This method allows you to really smell the drink before you drink, enhancing the overall experience. Whisk together thoroughly & enjoy! Have you tried matcha in a smoothie? It is a totally contemporary way to enjoy the benefits of the tea powder. This is the basic recipe for a delicious smoothie. Consider adding ice to make it a slushier blend or other fruits and vegetables for a delicious morning breakfast on the go. Puree until smooth & enjoy! Stir up a cup of cheery citrus, cooling mint and earthy matcha for a perfect revitalizing drink. 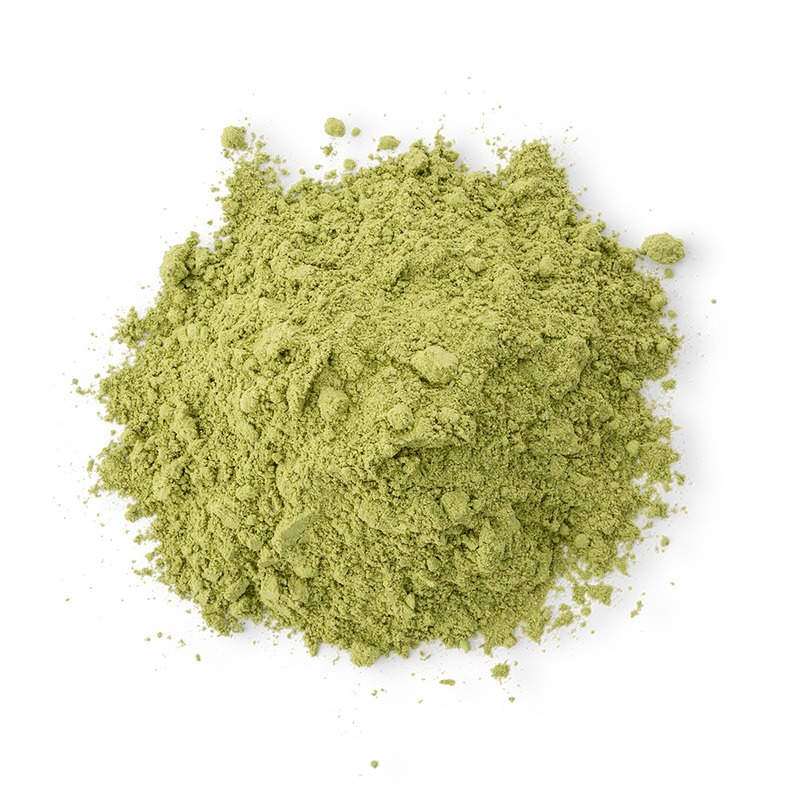 Matcha is the star of this tea powder. It’s popularity recently is due to its ease of use and the health benefits that come from adding it into your daily routine. Matcha is powdered green tea leaves, and not just any green tea. The farmers take great care in shading the plants for about a month just before harvest, resulting in a darker green and nutrient-rich leaf. It is stirred into your beverage rather than steeped and removed. This provides your body with a very dense source of chlorophyll, antioxidants, and other nutrients. Matcha generally has a very earthy flavor that is not palatable for some, so I blended it with citrus and mint. Orange peel provides an extra boost of vitamin C and antioxidants, both great for energy. It is very aromatic and can brighten your mood. Mint is mostly used for cramping and upset in the digestive tract along with menstrual cramps, headaches, congestion, insomnia, nausea, and colds and flu. Menthol is the constituent that helps to soothe the smooth muscles of the digestive tract and uterus. These three combine to create a refreshing beverage that also gives a very powerful lift to your body and mind.